Since the beginning of digital marketing, last click attribution has been the default setting when it comes to tracking a conversion in Google AdWords, partly due to the tracking limitations during those first few years. Now, the last click default is facing some competition, thanks to Google’s data-driven attribution modeling. Last click attribution gives all of the credit for a conversion to the last-clicked ad and its corresponding keyword. First click attribution credits the conversion to the first ad a user clicked and its corresponding keyword. 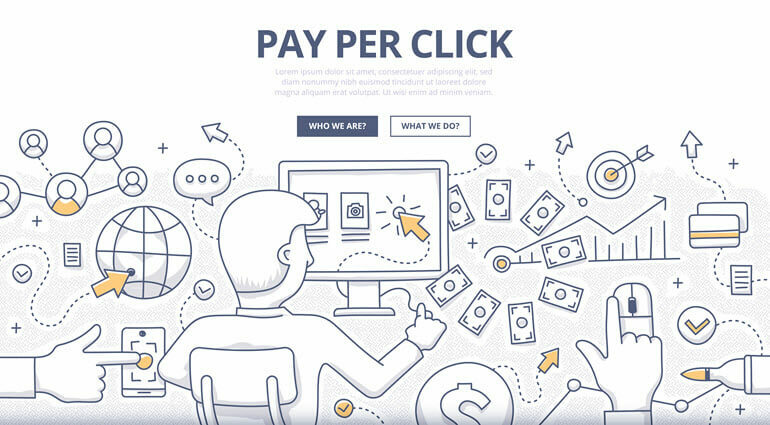 Linear attribution distributes credit for the conversion equally across all clicks a user made on the path to completing the intended goal (i.e., making a purchase, registering for an event, etc.). Time-decay attribution gives more credit to clicks that happened closer in time to the conversion, with credit for older clicks losing influence over a week’s time. In other words, a click eight days before a conversion gets half as much credit as a click one day before a conversion. Position-based attribution gives 40% of credit to both the first and last clicked ads and corresponding keyword, with the remaining 20% spread out among the other clicks on the conversion path. Data-driven attribution, which is still in beta, distributes credit for the conversion based on past data for this conversion action, so it’s a best guess when solid statistics aren’t available. So, which one is the best to use for your business’ digital marketing campaign? The answer is not as clear cut as it seems. It can depend on your industry, your specific business within that industry, the focus of your marketing campaign and the quantifiable goal that will count as a conversion when users complete their journey—and be most meaningful (and profitable) for you. In short, your conversion goals should reflect and/or measure your AdWords campaigns’ growth based on what matters most to your business goals. We digital marketers work with clients to analyze and determine which model works best for the specific marketing efforts. Oftentimes, more than one model could fit the bill. In that case, go with one model, and evaluate your performance over time. Much like with everything else in Google AdWords, you shouldn’t select one model and forget about it. Testing is crucial at the individual campaign level too. Creating drafts and A/B experiments help us determine which attribution model will benefit the campaigns in the long run. Want to be sure you’re getting the most out of your AdWords campaign? Look for a certified Google AdWords professional to handle your accounts (like me! ).